Allinea is now part of Arm. Allinea is the trusted leader in software development tools for parallel programming and high performance computing (HPC) – and one of the fastest growing companies in the sector. Increasing application performance and debugging highly complex parallel applications require the most capable tools, able to handle the most demanding applications and environments: Leading organizations – such as ORNL, ANL, CEA and NCSA Blue Waters – turn to Allinea when they need results fast. Our integrated suite of profiling and debugging tools is relied on by software developers and computational scientists – from multicore desktops to beyond Petascale with the most powerful supercomputer in the world – for applications ranging from climate modeling to astrophysics, and from computational finance to aircraft and engine design. Allinea DDT, our parallel debugger, and Allinea MAP, our performance profiler, are interoperable, extremely scalable, capable and intuitive tools – which improve the efficiency and value of their HPC investment by reducing development time and increasing application performance. Our research and technology partnerships with the industry’s leading centres of expertise and technology providers – ensure that in an era of considerable advancement and change in HPC, Allinea leads the field in providing tools that enable new technology to be exploited to its maximum potential. Arm Ltd is a world-renowned semiconductor Intellectual Property (IP) company headquartered in Cambridge. Arm licenses its IP to a large ecosystem partners that use them to create and manufacture microprocessors, peripherals and SoC solutions. Arm-powered systems are pervasive in current electronic products, including automotive, consumer entertainment, imaging, microcontrollers, networking, storage, automotive, medical, security, wireless, smartphones, tablet computers and servers. Over 100 billion Arm-based microprocessors have been shipped so far, reaching over 80% of the world’s population. Arm’s research group will be the active participants in the project. Arm Research look beyond current technologies, working to address the challenges of the future across all areas of computing; from circuits and systems through to architecture, security, HPC and beyond. Through collaborations with academia, industry and funding bodies, Arm Research hope to enable developments that will help to shape the computing landscape in the future. 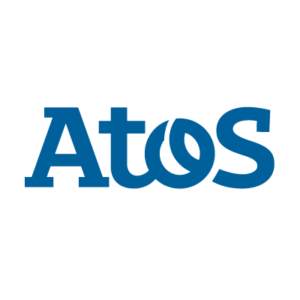 Atos has, for many years, provided solutions offering high performance and availability, and has strong competencies in the development of architectures, which make it possible to optimise data management. This experience is a significant asset in the field of High Performance Computing, which is increasingly faced with problems in balancing capacities of calculation, data access and storage. HPC is one of the fast growing activities of Atos. 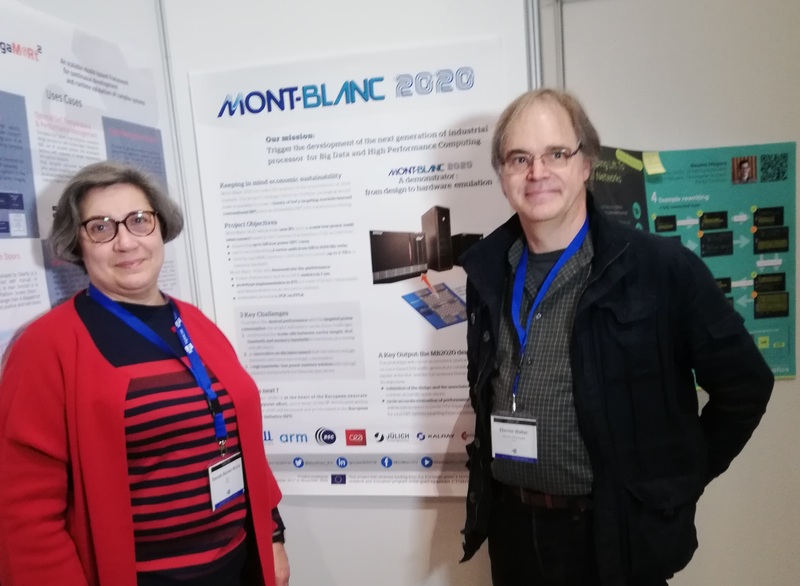 The participation of Atos (through its Bull SAS affiliate) in the Mont-Blanc project which gathers foremost European Supercomputing Centres and HPC Research Labs is a key element to leverage this research and transform it in products that will help to speed up research in many other domains such as nuclear fusion, avionics, life-science, etc., to considerably increase the performance of high demanding applications such as seismic imaging for oil industry and to greatly facilitate modelling and numerical simulation to design new products in a more efficient manner. Bull has a long experience in system development both for commercial and scientific application. Atos’s expertise encompasses all aspects of hardware and software system development, the design and development of ASICs, system board and infrastructure. AVL is the world’s largest independent company for development, simulation and testing technology of powertrains (hybrid, combustion engines, transmission, electric drive, batteries and software) for passenger cars, trucks and large engines. AVL develops all kinds of powertrain systems and is a competent partner to the engine and automotive industry. In addition AVL develops and markets the simulation methods which are necessary for the development work. The products of AVL also comprise all the instruments, systems and software required for powertrain and vehicle testing. The developed simulation software is focusing on design and optimization of powertrain systems and covers all powertrain components and phases of the development process. AVL has more than 2950 employees in Graz, Austria (over 700 graduated engineers) and a global network of 45 representations and affiliates with in total more than 6650 employees worldwide. Since more than two decades, the business unit Advanced Simulation Technologies of AVL has been engaged in the area of modelling and simulation of multi-physical processes on component, sub-system and system level. These activities have led to the development of outstanding simulation capabilities in these areas as part of AVL’s commercially available simulation tools and methods. These tools and methods range from engine/combustion chamber level simulation to complete conventional and electrified powertrain/vehicle system level analysis, comprising all relevant components and sub-systems. These tools and methods are commercially marketed by AVL on a worldwide scale to the automotive industry and are also made available to universities and research institutes within the frame of AVL’s unique University Partnership Program. Barcelona Supercomputing Center (BSC) is the national supercomputing centre in Spain. BSC specialises in High Performance Computing (HPC) and its mission is two-fold: to provide infrastructure and supercomputing services to European scientists, and to generate knowledge and technology to transfer to business and society. BSC is a Severo Ochoa Center of Excellence and a first level hosting member of the European research infrastructure PRACE (Partnership for Advanced Computing in Europe). BSC also manages the Spanish Supercomputing Network (RES). BSC was created in 2005 and is a consortium formed by the Spanish Government Ministry of Economy, Industry and Competitiveness (60%), the Catalan Government Department of Enterprise and Knowledge (30%) and the Universitat Politècnica de Catalunya (UPC) (10%). Drawing on its widely acknowledged expertise, the CEA actively participates in collaborative projects with a large number of academic and industrial partners. The CEA is established in nine centers spread throughout France. It works in partnership with many other research bodies, local authorities and universities. Within this context, the CEA is a stakeholder in a series of national alliances set up to coordinate French research in energy (ANCRE), life sciences and health (AVIESAN), digital science and technology (ALLISTENE), environmental sciences (AllEnvi) and human and social sciences (ATHENA). Widely acknowledged as an expert in its areas of skill, the CEA is actively involved in the European Research Area and its international presence is constantly growing. CINECA is a non profit consortium, made up of 44 Italian universities, the National Institute of Oceanography and Experimental Geophysics – OGS, the CNR (National Research Council), and the Ministry of Education, University and Research (MIUR). Established in 1969, today it is the largest Italian supercomputing centre and one of the most important worldwide with an HPC environment. Some of the most important Italian industries (e.g. ENI, Toro Rosso, Centro Ricerche Fiat, etc.) use CINECA’s HPC facilities. The present supercomputing facility is based on an integrated infrastructure of more than 15.000 processors. The state of the art HPC system is an IBM SP Power 6 supercomputer with 5376 cores and 21 Tbyte of RAM memory (68 nodes, with 32 cores and 128 GB of RAM per node). The peak performance is 101 TFlop/s. The HPC Group in CINECA has a long experience in cooperating with the researchers in parallelising,enabling and scaling up their applications in different computational disciplines, covering condensed matter physics, astrophysics, geophysics, chemistry, earth sciences, engineering,mathematics and bioinformatics, but also “non-traditional” ones, such as biomedicine, archaeology and data-mining. CINECA has a wide experience in providing education and training in the different fields of parallel computing and computational sciences. At European level CINECA has a several years deep experience, due to his involvement in several projects, financed by the EU since the FP3. In FP7, CINECA coordinates HPC-Europa2, it is a main partner in DEISA2, EMI, MMHPC and has been appointed to represent Italy as Principal Partner in PRACE-1IP. Moreover, CINECA is partner in PLUG-IT, EUROPLANET, VMUST and some National and Regional projects. The Centre National de la Recherche Scientifique (National Center for Scientific Research) is a government-funded research organization, under the authority of France’s Ministry of Research. Acting as a partner in Mont-Blanc, CNRS is involved at several levels of the project. 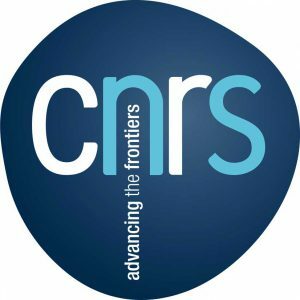 Under the CNRS umbrella, 4 cross-faculty research units gather their expertise to address several key aspects of the project, such as the porting of exascale applications to the Mont-Blanc HPC system prototype: CORIA (COmplex of Interprofessional Research in Aerothermochemistry, CNRS / University of Rouen) will focus on the porting of the YALES2 solver, for the simulation of turbulent flows in complex geometries; LMA (Laboratory of Mechanics and Acoustics, CNRS) brings the SPECFEM3D solver that permits efficient simulation of seismic waves resulting from earthquakes or other acoustic or elastic sources. LIG (Grenoble Informatics Laboratory, CNRS / University Joseph Fourier) will bring its software expertise in parallel programming, performance analysis, runtimes and participate to the software development and porting of the aforementioned applications among others. LIRMM (Montpellier Laboratory of Informatics, Robotics, and Microelectronics, CNRS / University of Montpellier 2) will focus on explorations of the next-generation HPC platform, intended to achieve yet increased energy-efficiency and scalability, notably at the hardware-level through the specification of innovative compute accelerators and associated embedded software. ETH Zürich is one of the leading international universities for technology and the natural sciences. It is well known for its excellent education, ground-breaking fundamental research and for implementing its results directly into practice. Founded in 1855, to researchers, it today offers an inspiring working environment, to students, a comprehensive education. ETH Zürich has more than 18,000 students from over 110 countries, including 3,900 doctoral students. About 500 professors currently teach and conduct research in engineering, architecture, mathematics, natural sciences, system-oriented sciences, and management and social sciences. ETH Zürich regularly appears at the top of international rankings as one of the best universities in the world. Twenty-one Nobel Laureates have studied, taught or conducted research at ETH Zurich, underlining the excellent reputation of the university. The SPCL Lab performs research in all areas of scalable computing. The research areas include scalable high-performance networks and protocols, middleware, operating system and runtime systems, parallel programming languages, support, and constructs, storage, and scalable data access. The SPCL group has several active research projects, many in collaboration with industry, other academic institutions, and high-performance computing centers world-wide. Since 2007 GENCI and its associates have been able to multiply by a factor of 30x the available high performance computing resources available to french scientists. These resources are operated daily by 3 national centers : CCRT (for the civil activities of CEA at Bruyères-Le-Chatel), CINES (for the french Universities at Montpellier) and IDRIS. (for CNRS at Orsay). GENCI is also the french representative into the PRACE AISBL and one of the 4 hosting partners with Germany, Italy and Spain. GENCI funded a Bull Tier-0 system which is hosted in the TGCC computing center operated by CEA-DAM at Bruyeres-Le-Chatel. The High Performance Computing Centre (HLRS) is a research and service institution affiliated to the University of Stuttgart (USTUTT). It was the first national supercomputing centre in Germany and offers services to academic users and industry. Since 2011 USTUTT operates Hermit, a petaflop-class Cray XE6 system, which is scheduled to be updated in 2014 and 2016, respectively. The High Performance Computing Center at the USTUTT work focus is oriented towards: • Operation of supercomputers owned by hww GmbH, a public-private partnership consortium comprising among others the German Telecom and Porsche AG. • Services and consultancy for scientific and industrial users. • Teaching in distributed systems, software engineering and parallel programming models. • Research in the area of supercomputer architectures, simulation software, as well as parallel programming models and development tools. The High Performance Computing Center has also actively driven the rise of grid technologies as a means to make high performance computing accessible from anywhere. Since recently, The High Performance Computing Center also actively investigates into exploiting mixed modalities of scale (cloud and HPC) for supporting future use case models. The institute is also actively involved in the development of distributed programming models, e.g. through active participation in the OpenMPI community. The High Performance Computing Center is also taking a major role in projects such as PRACE which actively assess and propose the future development of supercomputing architectures and applications with leading HPC centres in Europe. More recently, The High Performance Computing Center has participated in the project TEXT contributing the development of Temanejo, a debugger for task-based programming models, as well as porting several applications to the SMPSs flavour of the StarSs programming model. The Forschungszentrum Jülich (JUELICH) – a member of the Helmholtz Association – is one of the largest research centres in Europe. It pursues cutting-edge interdisciplinary research addressing the challenges facing society in the fields of health, energy and the environment, and information technologies. Within the Forschungszentrum, the Jülich Supercomputing Centre (JSC) is one of the three national supercomputing centres in Germany as part of the Gauss Centre for Supercomputing (GCS). Presently, JSC operates one of the first European systems of Petaflop class performance. JUELICH has more than 30 years expertise in providing supercomputer services to national and international user communities. It undertakes research and development in HPC architectures, performance analysis, HPC applications, Grid computing, networking, and project management. JUELICH successfully managed numerous national and European projects including the PRACE Preparatory Phase project. JUELICH is the Coordinator of the PRACE-1IP project and contribute to the evolution of the Research Infrastructure, dissemination, technical operations, petascaling, and future technologies. The success of the computers QPACE and JuRoPA demonstrates the competence of JSC in the field of computational sciences and system architecture technologies. JSC has established two joint co-operations with IBM Böblingen (Exascale Innovation Centre) and with Intel Braunschweig and ParTec GmbH (ExaCluster Laboratory) to develop new promising HPC architectures and prototypes to enter the Exascale era. With Scalasca, JSC is the world leader in scalable portable parallel performance analysis tools. KALRAY is a French fabless semiconductor company and pioneer in developing a new generation of processors – manycore processors – that offer real-time processing, low power consumption and low latency. The company was founded in 2008 as a spin-off of the world-renowned CEA research centre (French Department of Energy). Its innovative MPPA® architecture is used today in two cutting-edge and fast-growing markets: critical embedded technologies, such as autonomous vehicles and avionics, as well as in data centres, for the acceleration of storage and networking applications. Kalray is currently implanted in three countries – France, the USA, and Japan – and counts 65 employees worldwide. The Leibniz Supercomputing Centre (Leibniz-Rechenzentrum, LRZ) is part of the Bavarian Academy of Sciences and Humanities (Bayerische Akademie der Wissenschaften, BADW). BADW-LRZ is a central site for large scale data archiving and backup. It has been an active player in the area of high performance computing for over 20 years and provides computing power on several different levels. It offers its services to universities in Germany and to publicly funded research institutions, like Max-Planck and Helmholtz Institutes. BADW-LRZ operates a SGI Altix 4700 with nearly ten thousand cores and a peak performance above 60 Teraflop/s as well as a number of general purpose and specialized clusters. BADW-LRZ has more than 150 employees, about 30 of which are working in national or international research projects. BADW- LRZ is member of the Gauss Centre for Supercomputing (GCS), the alliance of the three national supercomputing centres in Germany (FZJ-Jülich, HLRS-Stuttgart, BADW-LRZ-Garching). In PRACE-1IP BADW-LRZ acts as a third party to GCS. 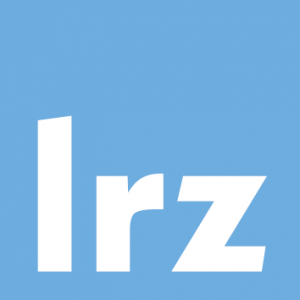 BADW-LRZ has a longstanding and internationally known expertise including research in security, network technologies, IT-Management, IT-operations, data archiving, high performance- and grid computing. In PRACE-1IP BADW-LRZ leads WP9 and contributes to the evolution of the RI, its technical operation, petascaling and future technologies. BADW-LRZ contributes to the leading edge research on new system packaging and infrastructure technologies to minimize the energy needed for cooling HPC systems. As part of PRACE 1IP, BADW-LRZ is currently building a prototype that uses direct free water cooling and reuses the system’s waste heat for heating and cooling purposes. BADW-LRZ is the first HPC site to use this technology in the world. SemiDynamics specializes in microprocessor architecture, front-end design and verification services, with a special focus in RISC-V development, both for ASICs and FPGA solutions. With an extraordinary team with fifteen years of experience in the semiconductor industry, they can handle projects from specification to design and verification. 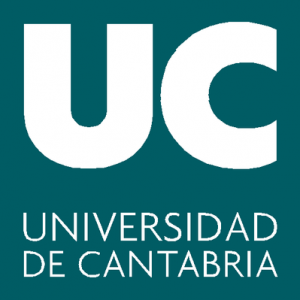 The Universidad de Cantabria – UC is a young modern public institution whose main purpose is to contribute to social progress through a firm commitment to teaching and scientific excellence. The expertise of the Universidad de Cantabria is concentrated in the disciplines of engineering, medicine, physics, economics, and business administration, among others. In addition to the initial degree programs and scientific research, the University offers specific postgraduate study programs and courses. The Universidad de Cantabria has around 12,000 students and some 2,000 staff members. UC collaborates closely and on a permanent basis with enterprises, government and institutions in order to develop projects and studies of many different kinds, all of which require a high degree of specialization and competence. UC has been involved in 20 FP6 projects and is currently participating in 22 FP7 projects in different thematic areas. UC is also participating in other European projects. The UC has researchers with a strong background in HPC networking research. Among others, they gave relevant contributions to the fields of network topologies (e.g. Gaussian Networks, Twisted Torus), flow control and deadlock-avoidance mechanisms (e.g. Bubble flow control, used in the IBM BlueGene supercomputers), fault tolerant mechanisms (e.g. Inmunet), and deadlock-free routing mechanisms (e.g. novel routing mechanisms for high-radix Dragonfly topologies). The Karl Franzens University of Graz was founded in 1585 and received already six Nobel Prizes. Among the seven faculties there is the Faculty for Natural Sciences to which our Institute for Mathematics and Scientific Computing belongs to. One professorship in this institute is dedicated to scientific computing/HPC with Prof. Haase as its chair. There is a very close cooperation in research and teaching with the Graz University of Technology and the Medical University of Graz in the context of various networks (“Modeling and Simulation”, “BioTechmed”, “NAWI Graz”) and projects. The HPC group of our institute runs its own GPU/MIC-cluster and the members are involved in various projects with national and international partners from academia and industry. The research of the HPC group focusses on many-core parallel solvers/preconditioners for discretized linear and non-linear partial differential equations. The parallelization techniques for these codes include MPI, OpenMP, CUDA, OpenACC, OpenMP 4.0. The University of Bristol is ranked in the top 30 universities globally (QS world university rankings), and since it’s founding in 1909 has the honour of counting 11 Nobel Laureates among its former staff and students, including Dirac, Mott, Ramsay and Bethe, and 24 of its current staff are members of the prestigious Royal Society. The university is particularly famous for its science and engineering, with ~5,000 of the university’s ~14,000 students studying this subject. The Department of Computer Science was founded in 1984 and is ranked in the top 5 departments in the UK. The department is famed for its expertise in High Performance Computing, Computer Architecture, Cryptography, Image Processing and Human-Computer Interaction. The Department includes ~100 staff, ~100 PhD students and supports ~600 students at any one time. The Department is sited in the middle of one of the largest high-technology industrial clusters in the world, with, for example, ~5,000 silicon chip designers working in and around Bristol for companies such as Imagination Technologies, Nvidia, STMicroelectronics, Broadcom and Infineon. Many high-tech startups are also based in the region, supported by the university’s award-winning start-up incubator, SETsquared. The University of Bristol is a leader in the UK academic HPC community, having invested ~£16m in HPC equipment since 2008. It’s latest HPC system, Blue Crystal phase 3, has a peak performance in excess of 200 TFLOPS, placing it in the top 3 academic HPC sites in the UK. The university collaborates with industrial partners in HPC, including Intel, Dell, Nvidia, ARM, Imagination Technologies, NAG and AMD.